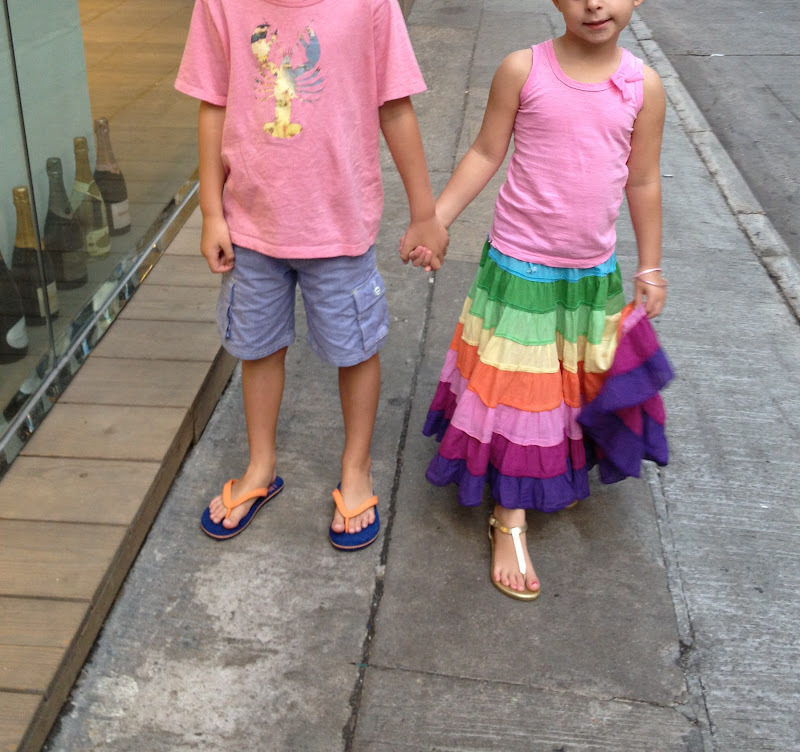 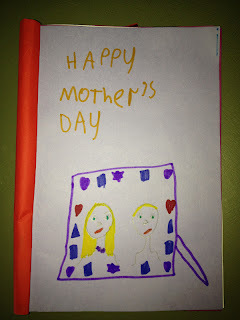 I had a lovely Mother's Day with my darlings. It started with a sleep-in as we were at Mr F's birthday party at N's house until 3:00am. Prince and Princess PTT have become very talented at getting themselves up on a Sunday and preparing their own breakfast - a definite life skill in my books! 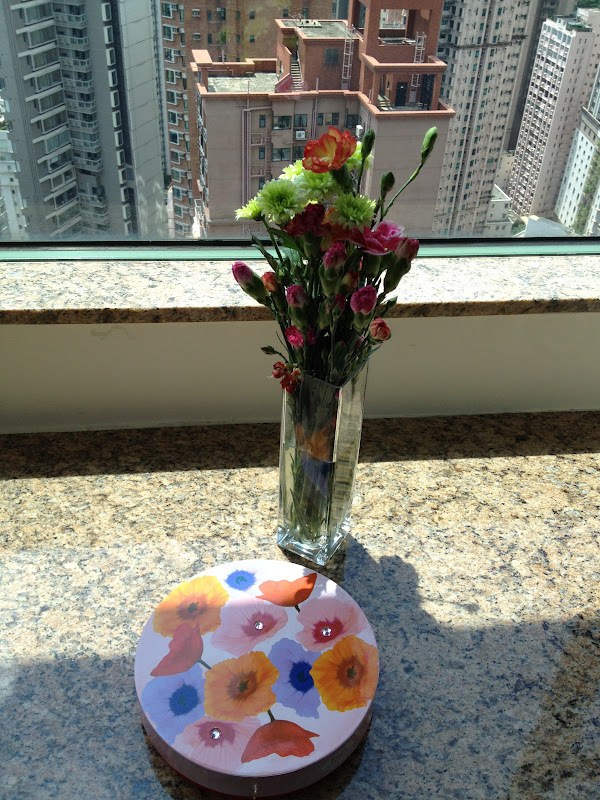 On waking, I was presented with flowers, chocolates, hand made cards and breakfast in bed. 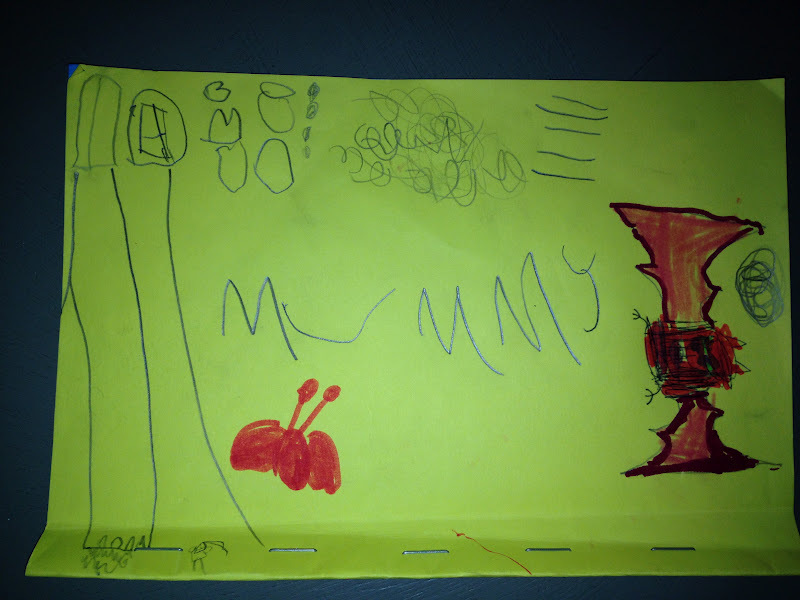 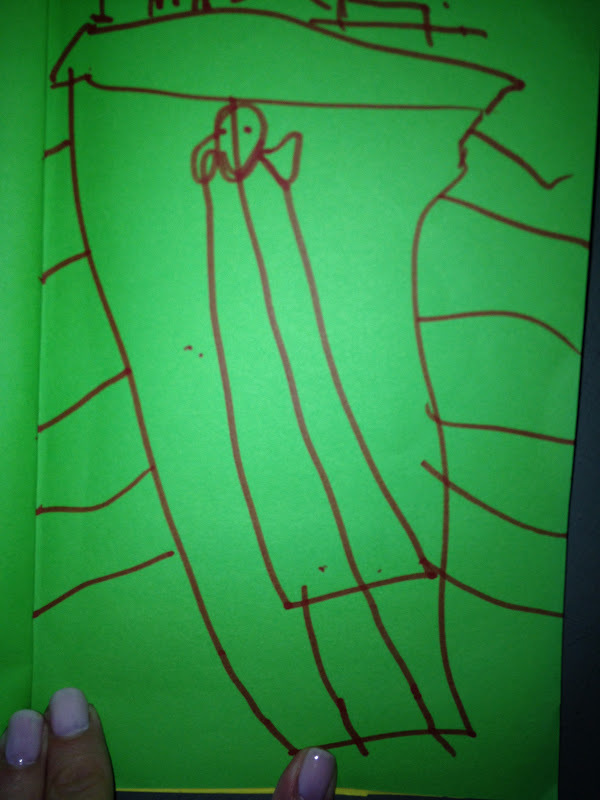 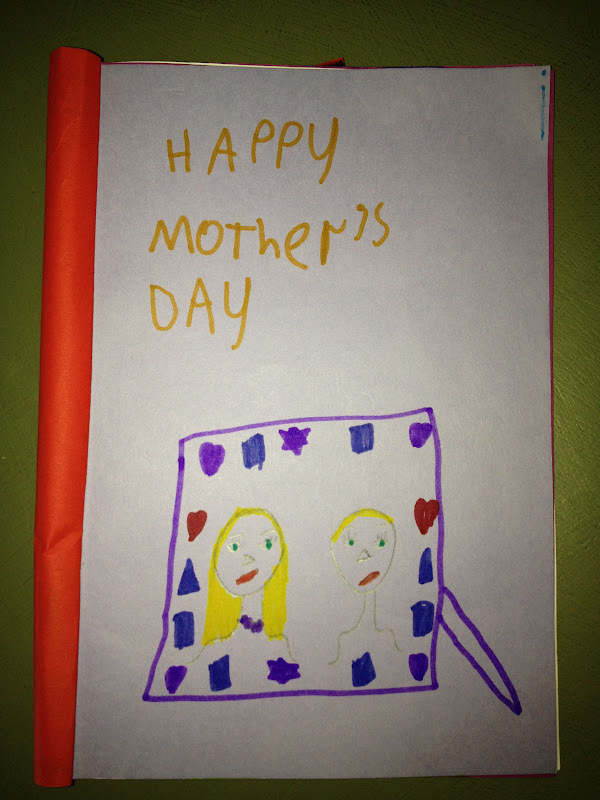 Inside Princess PTT's card was a portrait of me. 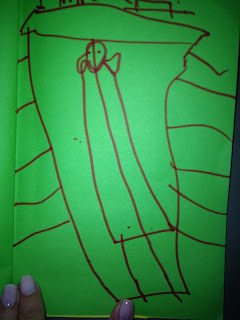 Apparently, she has portrayed me in a lift going for a 'night out with my friends'!